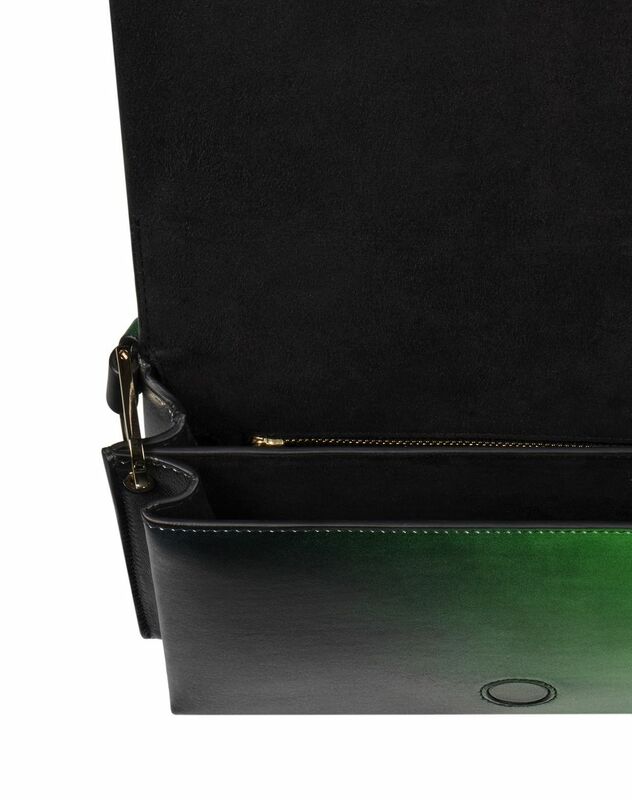 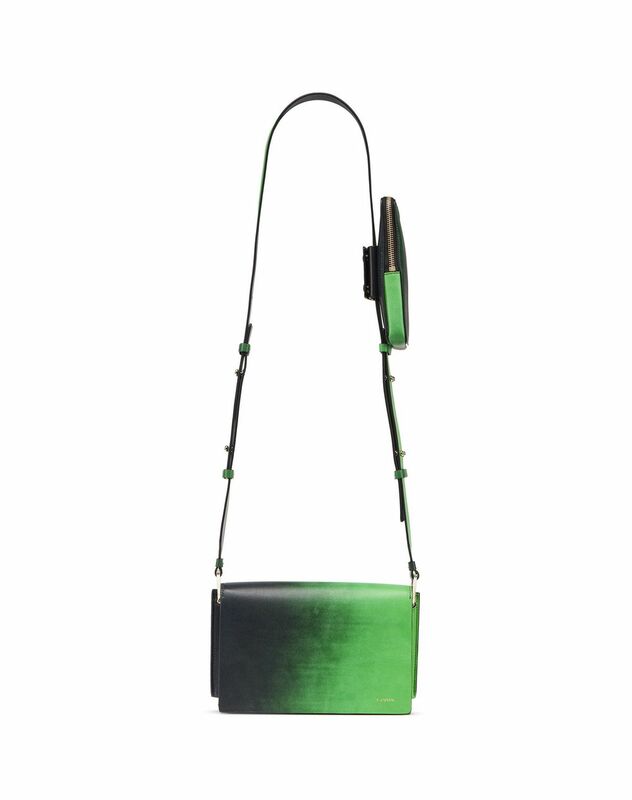 “Pixel-it” bag in smooth black and green calfskin leather, flap closure with invisible magnet and gold Lanvin logo, adjustable strap length, detachable zippered smartphone pocket, two compartments and one zippered pocket on the inside, and black goatskin leather lining. 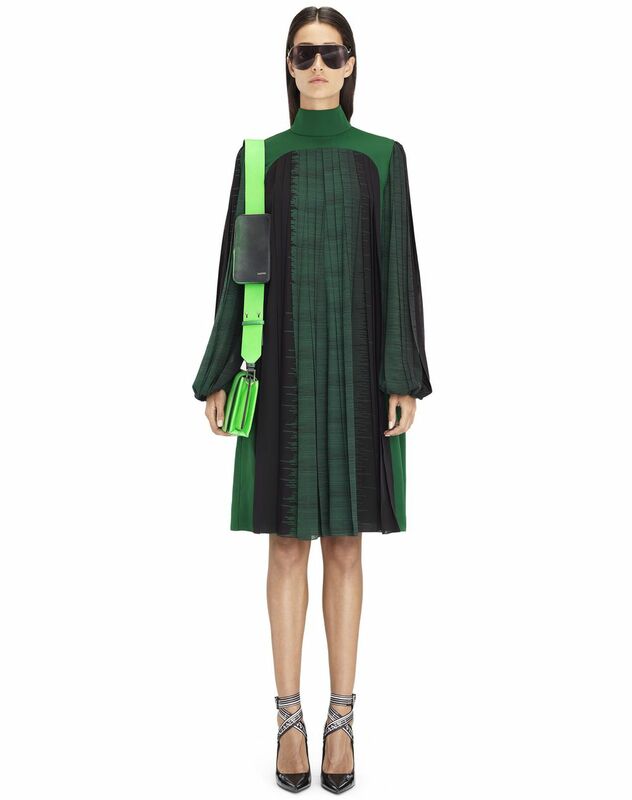 A must-have from the women’s Winter 2018 show, the “Pixel-It” bag can be worn and styled in various ways and was inspired by the energy connected to women today. 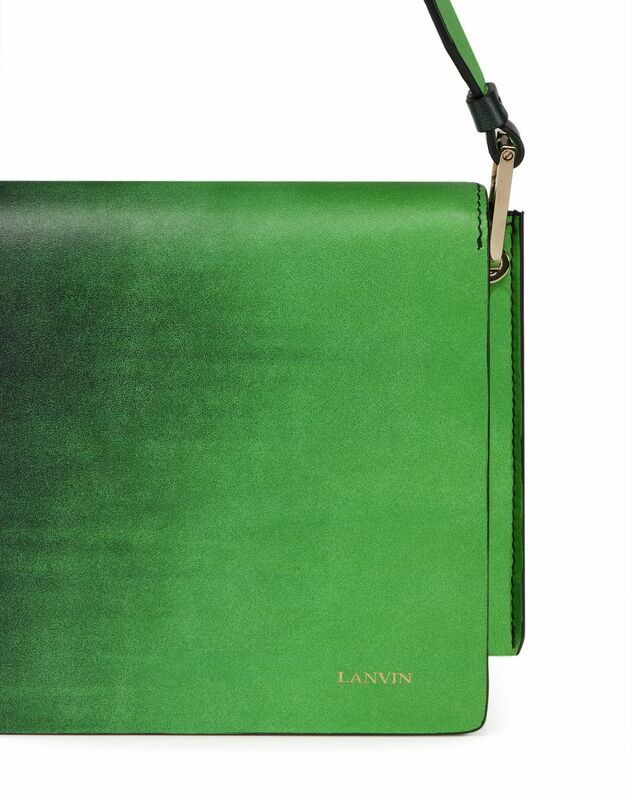 Whether carried by hand, on the shoulder, or across the body, it stands out as a season essential. 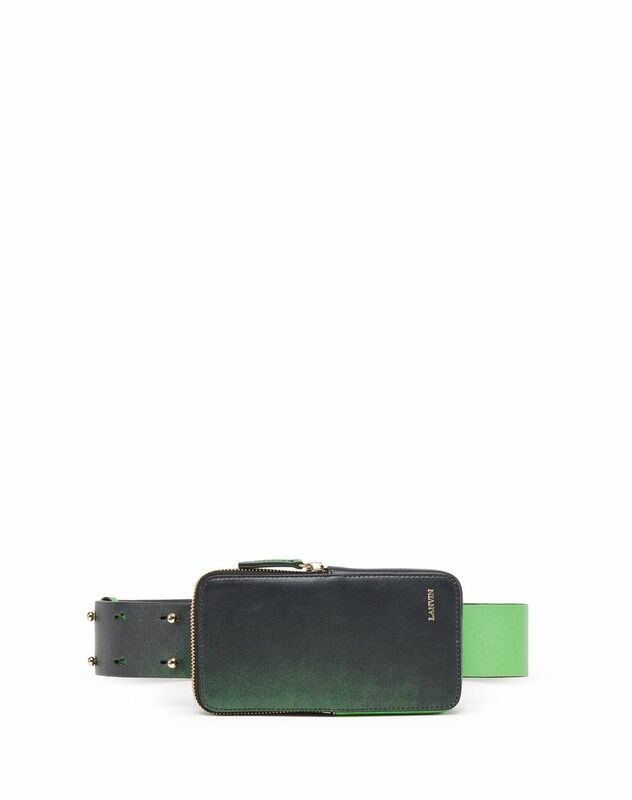 The shoulder strap features a detachable smartphone pocket and can also be worn as a belt for a distinctively contemporary look blending comfort and style. 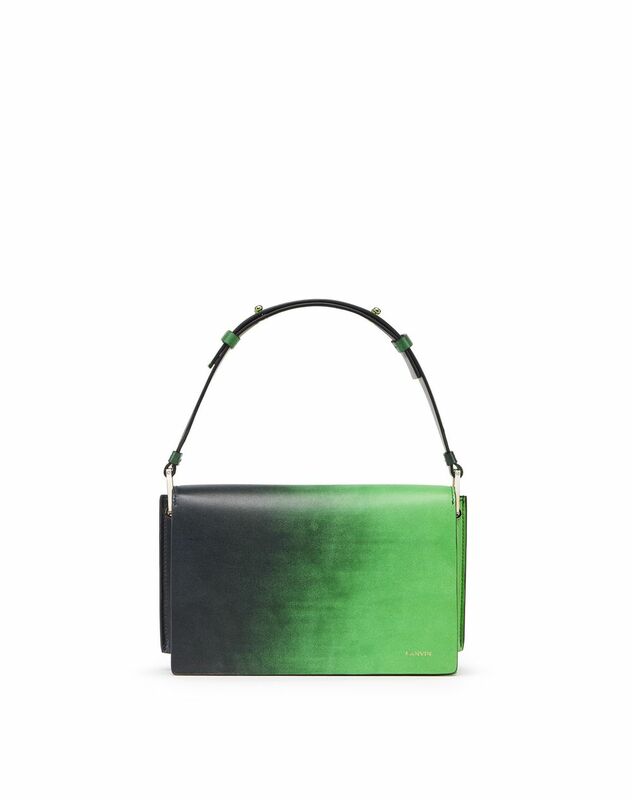 The Krista Kim print was inspired by the work of the eponymous American artist and pays tribute to digital art.